1. Ivy International Growth A (IVINX) – This is considered one of the best international mutual funds, and the focus is on long term growth in countries which are developed. A child of Ivy Funds, Ivy International Growth A, offers a wide ranging and ever-expansive approach to an already diversified portfolio. Common stock in foreign companies makes up a large part of the fund assets. Investors will gain insight and technique via an enterprise with disciplined and globally-minded insight across all major asset classes to deliver on their needs. Ivy International Growth A promises a 74% portfolio turnover rate (as of March 2011) and utilizes a research-based investment process that blends an inimitable top-down global economic analysis and bottom-up stock selection modus operandi. 2. SPDR S&P International Energy Sector (IPW) – One of the top energy mutual funds, SPDR offers a return of close to fourteen percent over the last year, and can be an excellent choice for many investors not averse to the risks of international fund investments. SPDR S&P International Energy Sector seeks to provide stellar investment results for investors and shareholders by generating incomparable total returns and extraordinary international mutual fund performance. The mutual fund’s approach was created to be tracked with low portfolio turnover and nominal costs for investors and stakeholders alike. The fund’s attraction lies in its stable risk, inviting aspects and plethora of securities within making it one of the best international mutual funds to incorporate into a portfolio. SPDR S&P International Energy Sector has net assets totaling 15.38 million. Trading at $21.75 a share, investors will earn a dividend yield of 2.40%, and a return on equity of 13.18%. Take your portfolio to the next level with SPDR S&P International Energy Sector. 3. First Investors International A (FIINX) – This fund is managed by Rajiv Jain, who has been in charge for close to four years and created a one year return of close to ten percent. With this kind of success it is no wonder this fund is rated one of the top ten. First Investors offer unique bond in serving their investors. Connecting Main Street to Wall Street, we invite you to walk your portfolio through a network of diversified mutual funds including the First Investors International A, one of the best international mutual funds ever assembled and created. Trading as FIINX, the fund’s primarily vision is to boldly and gracefully seek out long-term capital growth through a portfolio of common stocks and other equity securities of companies located outside the United States producing a yield of 4.38%. Investors seeking to put pep in their portfolio’s step will find First Investors International A priced at $9.78 a share with a 5.47% year to date return, a welcomed and agreeable addition to their portfolio. 4. Laudus International MarketMasters (SWOIX) – Welcome to Laudus, a distinguished and regal mutual fund investing company that gives investors direct access to a suite of high-quality funds, actively managed by illustrious investment specialists. Commanding performance, industry headship and ground-breaking approaches to investment organization, Laudus mutual funds expand the mutual fund scope. Investors looking to breathe new life into their portfolio should find Laudus International MarketMasters one of the best international mutual funds to own and invest in at $15.75 a share and a 1.20% yield. Laudus offers one of the best international mutual funds found anywhere. Capital growth is the goal of this fund, and all market capitalization levels are included. The mutual fund’s drive is based on long-term capital appreciation using a multi-manager strategy that is employed using rigorous criteria to select investment specialists with established and remarkable track records to handle a portion of the Laudus International Market Masters fund assets. 5. Templeton Foreign Small Companies A (FINEX) – Franklin Templeton Investments are the universal leaders of unsurpassed and focused financial dexterity across asset classes and classy investment avenues, supported by a single comprehensive platform providing investors the prospect for exact diversification worldwide. Franklin Templeton Investments is one of best international mutual fund companies managing investments for worldwide individuals, institutions, pension plans, trusts, and partnerships keeping the relationships specialized and beyond compare in approach. One unique Templeton investment is the Templeton Foreign Smaller Companies A, trading at $12.85 a share. Encompassing $200.7 million in assets, Templeton Foreign Smaller Companies A has withstood the fluctuations in the market since its inception in 1991, investing more than 80% of its assets in securities of smaller companies outside of the United States border. This is one of the diversified mutual funds that has long term capital appreciation as the investment goal. Smaller and lower cap companies are sought which offer steady increases. 6. T. Rowe Price International Stock (PRITX) – Helping customers achieve their long-term financial goals is the vision of T Rowe Price. Founded in 1937, our company has thrived by sharing perspectives, debating solutions, and pursuing success for our investors. One of our best international mutual funds we offer is the T Rowe Price International Stock, with the ticker, PRITX. Created in 1980, the T Rowe Price International Stock mutual fund requires a $2,500 initial investment. The fund received a stellar rating from Morningstar, making it one of our company’s most noteworthy mutual funds to have in your portfolio. Capital appreciation is what this fund is all about, and a majority of the fund portfolio consists of stock from well known foreign companies. The T Rowe Price International Stock mutual fund carries an NAV of $11.77 with net assets totaling 6,982.61 million and a 1.11% yield. T Rowe Price International Stock’s value thrives with its gratifying long term growth of capital and investments established alongside the international landscape. 7. Oppenheimer International Small Company A (OSMAX) – One of the best international mutual funds, this choice is offered by the Oppenheimer name which is known for quality and high annual returns. Oppenheimer Funds are the precise way to invest your money. A thrust of money-spinning investment plans and strategies, Oppenheimer Funds always outperform investor anticipations. One of the award winning best international mutual fund companies, Oppenheimer Funds’ is unrivaled in its superlative customer service. Each mutual fund within Oppenheimer is carefully managed and monitored to make certain that your portfolio achieves value enormity of blockbuster proportions and that investment distinction over the long term. Mutual funds such as Oppenheimer International Small Company A are one to invest in. With the ticker symbol, OSMAX, and a price of $19.31 a share, the Oppenheimer International Small Company A fund invests predominantly in stock of small companies that are located outside of the United States and corporations that have $5 billion or less in their market caps. 8. Driehaus Emerging Markets Growth Fund (DREGX) – Since 1982, Dreihaus has provided investors the opportunity to add depth to their portfolio with sound investments from a sound organization. We at Dreihaus believe specific earnings growth is the key driver of stock prices over the long-term. Our aim to utilize explicit inefficiencies using a bottom-up essential technique, while also factoring in the top-down macroeconomic environment so your money is always working for you regardless of the market volatility. One of our prized mutual funds is the Dreihaus Emerging Markets Growth Fund. With over $882 Million of assets as of June 2011 and trading at $26.89, this mutual fund is one of our best international mutual funds, with dividends and capital gains distributed annually in December. This is one of the top emerging markets mutual funds, but it does include some risks because of the growth orientation and aggressive nature. 9. Columbia International Value A (NIVLX) – This Columbia fund is rated one of the best international mutual funds by many investment advisors and experts. 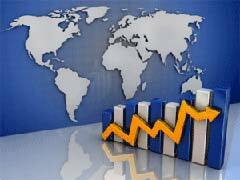 The fund portfolio includes investments in the USA and at least three other countries at any time. At Columbia Funds, their top priority is asset management. They bestow resources to identifying judicious investment opportunities and provide a wide-ranging choice of equity, fixed-income and alternative investments to our investors’ needs through invigorating leadership and disciplined research. Their mutual funds are incomparable in performance, manner and versatility. With a NAV of $11.55, a 2.59% yield, this mutual fund performs at maximum speed in the realm of foreign large value mutual funds. A minimum of $2000 is required to invest in this fascinating fund that was established in 1995 and has received a triple star rating from Morningstar. Columbia International Value A invests all or meaningful portion of assets into a master portfolio. The Columbia International Value A mutual fund’s objective it’s to invest in securities spanning multiple countries that have market caps of more than $1 billion to ensure shareholders get a pecuniary return on their investment. 10. Templeton Global Bond Fund (TPINX) – Franklin Templeton Investments are the investors’ investor. Focused on the markets and adept at asset the many different and remarkable investment pathways, Franklin Templeton Investments are renowned worldwide with a 60 year history that has catapulted them to become one of the best international mutual fund companies managing investments for individuals and partnerships. Templeton Global Bond Fund currently trades as TPINX at $12.71 a share and yields a 5.29% return. The mutual fund’s prime assets are investments in debt securities ranging from bills to bonds to debentures. Investors will find this an agreeable and fiscally pioneering mutual fund that spans transnational borders and injects their portfolio with a top rated fund by Moody’s and S&P. With net assets of 62.60 billion and a long history of success as one of the best foreign bond funds possible, this fund includes government bonds from all around the world.